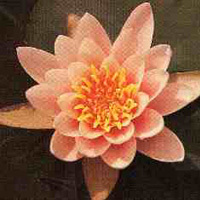 Norma Geyde water lily, (Nymphaea ‘Norma Geyde’). The flowers are stellate, which means star shaped, with rose pink petals which deepen in colour towards the base. 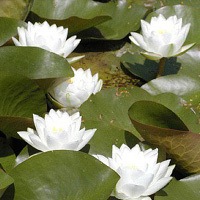 They measure 6.5-7.5 in (16-19 cm) and are slightly fragrant. 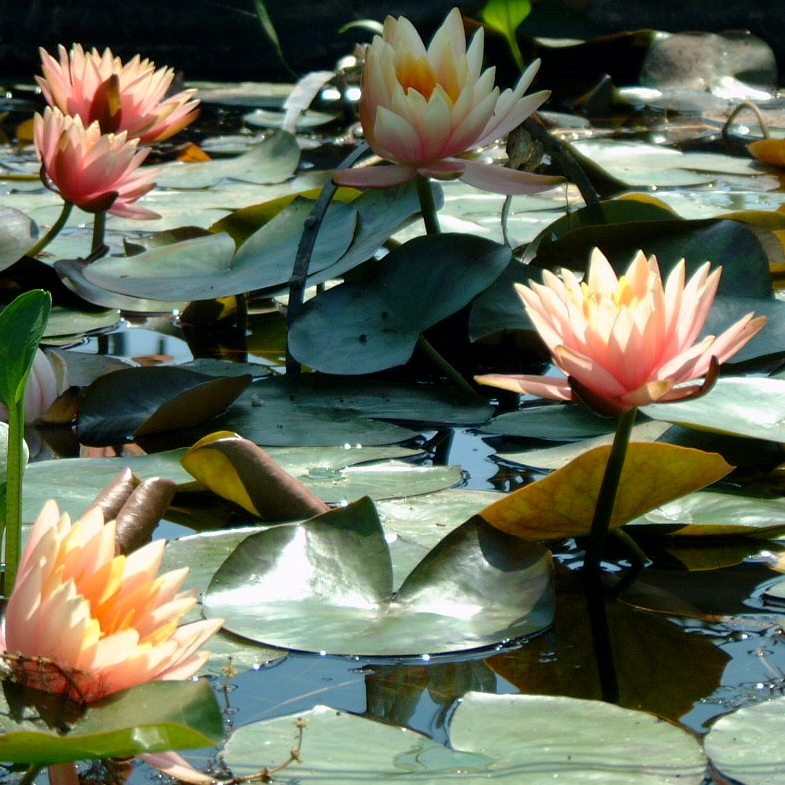 A large specimen of Norma Geyde is one of the most beautiful water lilies and therefore we highly recommend it for medium to large ponds. The new leaves are purple red and then become green as they mature. Each leaf is a little longer than it is wide and the sinus is usually wide open forming a ‘V’ shape. 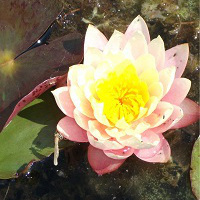 Free flowering when planted deeper. Suitable for medium and large sized pools.